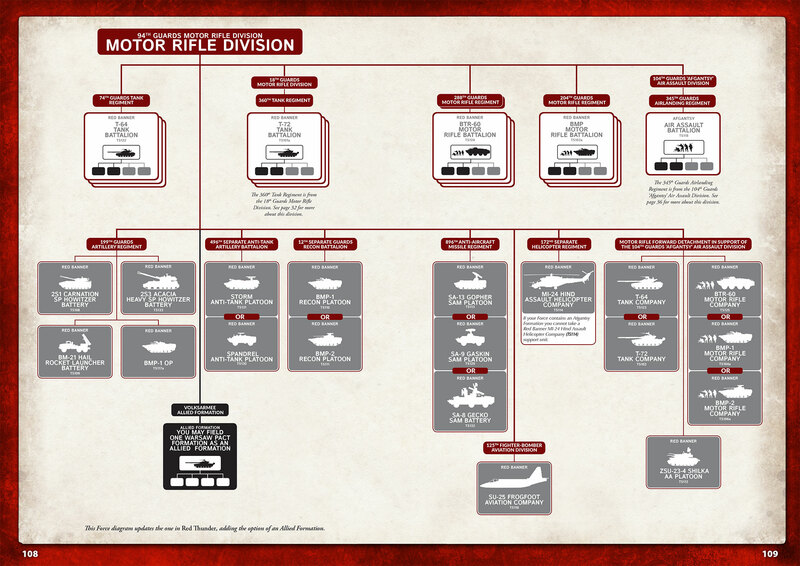 Our latest two army books, Stripes and Red Thunder have greatly improved the range of options available to US and Soviet players to the point where the old lists included in the original printing were out of date. 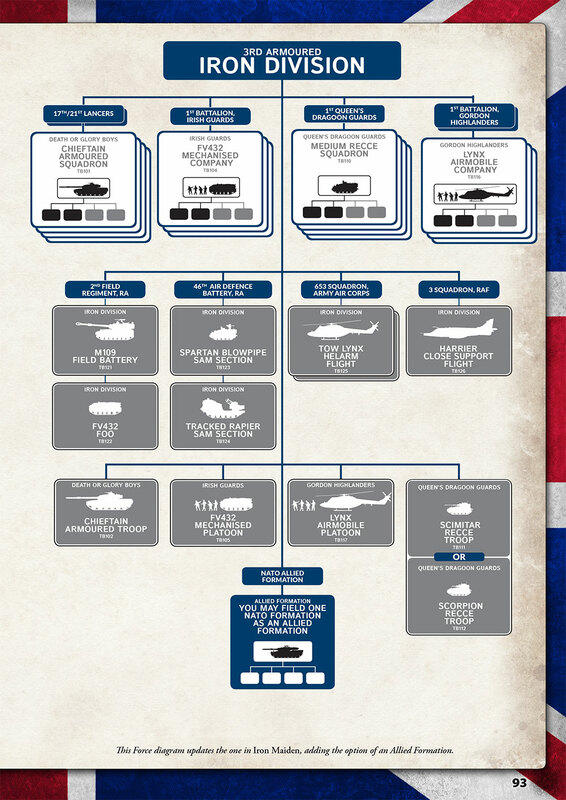 So we have replaced these with Force Diagrams for all five nations currently in Team Yankee, as well as a miniature catalogue of all the models currently in our range. 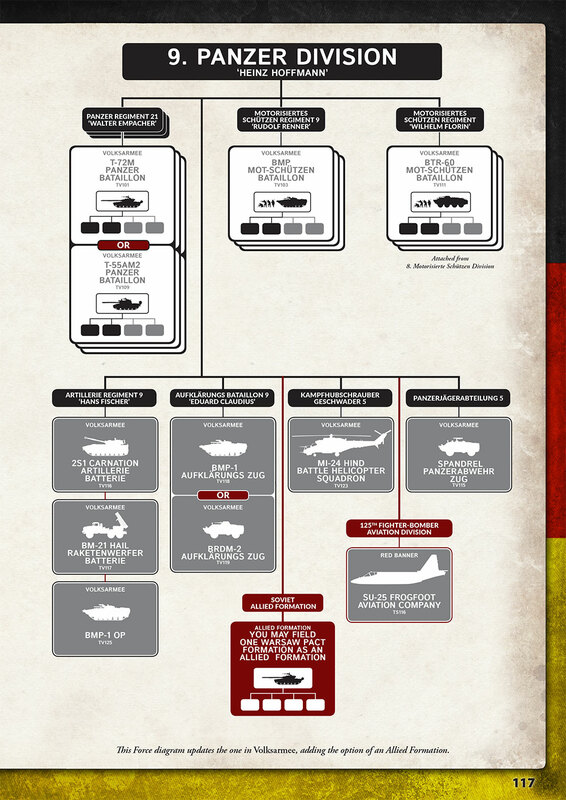 These new Force Diagrams will make it much easier for new players to work out which nation they would like to field, as well as helping them to plan out the first armies. 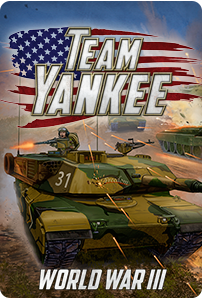 Because all Team Yankee models come with the appropriate Unit Cards these you can even start building a new army without buying the appropriate Army Book if you desire. 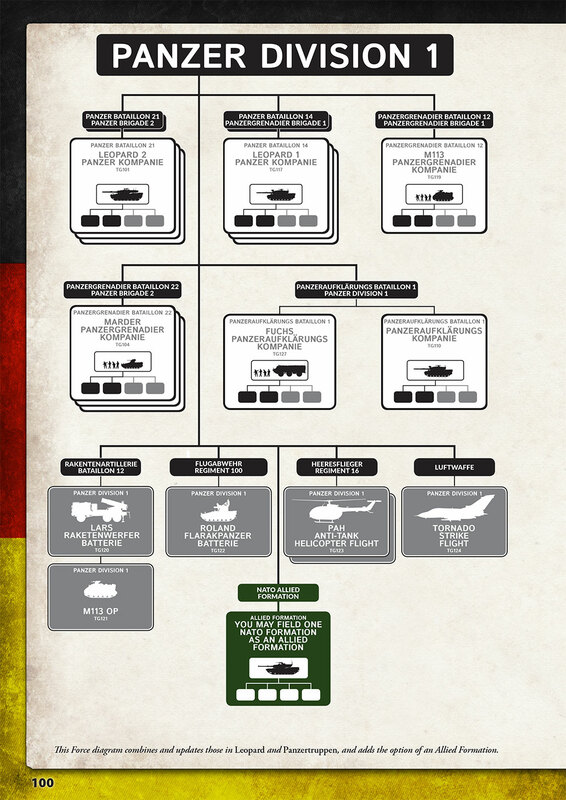 With their integrated command structures, both NATO (US, British, West German, and any other Force with a NATO Allied Formation in its support) and the Warsaw Pact (Soviet, East German, and any other Force with a Warsaw Pact Allied Formation in its support) can field formations from allied armies as part of their force. An Allied Formation obeys all the rules for its own nationality. 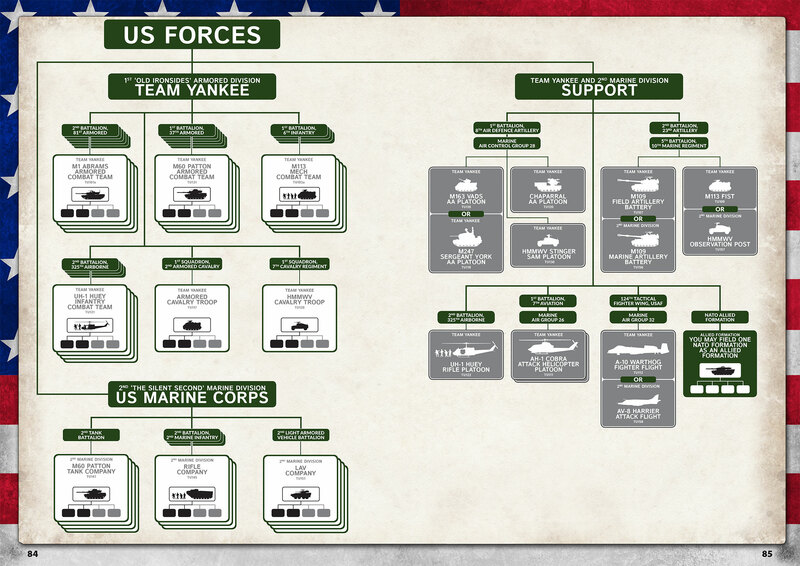 An Allied Formation Commander can only join Units in its own Formation (see pages 25 and 57 of the Team Yankee rulebook) and only those Units benefit from its Command Leadership (see page 25 and 64). As they are Support, do not count Allied Formations when determining whether you have any Formations left or if have lost the game (see page 65).